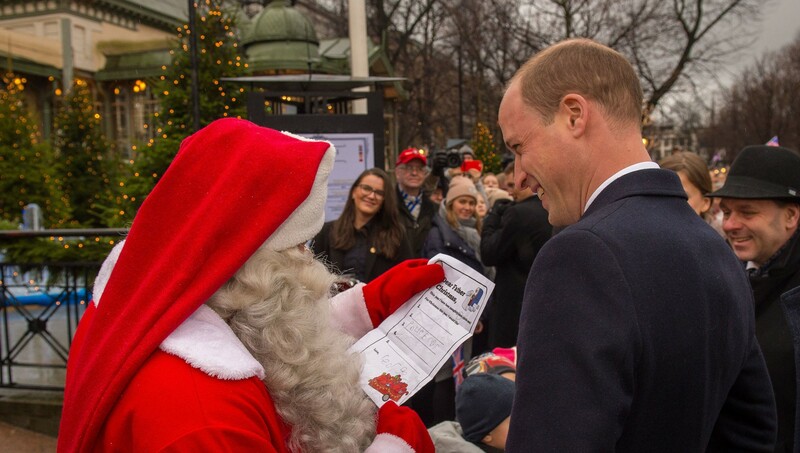 Apparently, Prince George is making good use of his royal position — and his father — by getting his letter to Santa Claus hand-delivered. People reports that little George wrote down his Christmas list, checking it twice — and that during a chance meeting with Father Christmas himself, Prince William obligingly passed the letter along to the holiday’s head honcho. William was in Finland when he met up with Santa. Because, you know, spitting distance from the North Pole. And although he surely had plenty of royal duties to attend to, he was an obliging dad to offer up George’s list, which did indeed only have one request: a police car. Yep, even though the little prince had plenty of space to ask for more, he seemed content to edit down his wish list to just one item. It looks like the future king is showing clear signs of being straightforward and to-the-point. Impressive royal behavior for a 4-year-old. William also put in a good word for his son, telling Santa that George had been good all year and was definitely more nice than naughty. 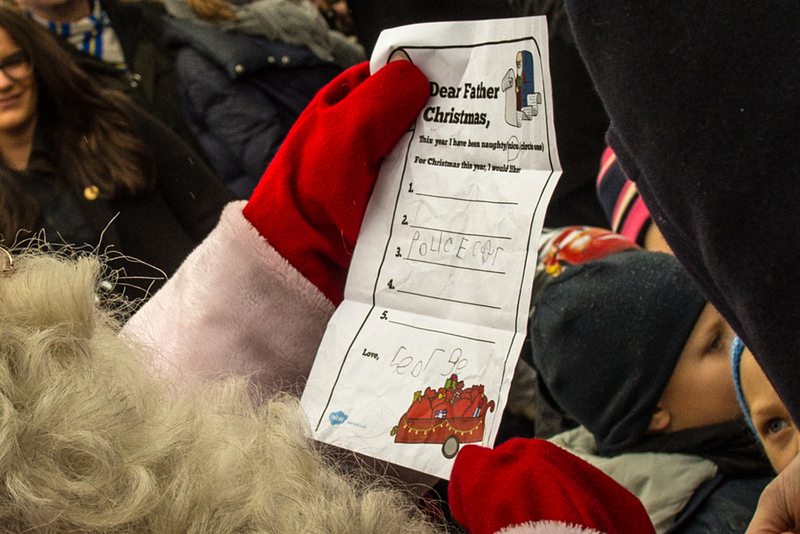 Clearly, George agreed; he circled “nice” on the list just in case Santa wasn’t sure. People notes that a toy police car (if the request was indeed for a toy, although, knowing royals, perhaps not) would round out George’s collection since he already has a toy helicopter and fire truck. George’s sister, Princess Charlotte, is still too little to write a list of her own, so there’s no telling what she’s hoping to find under the royal tree this year. But really, these kids are getting a new sibling and a new aunt in the coming months — what more could they ask for? Aside from a police car, naturally.